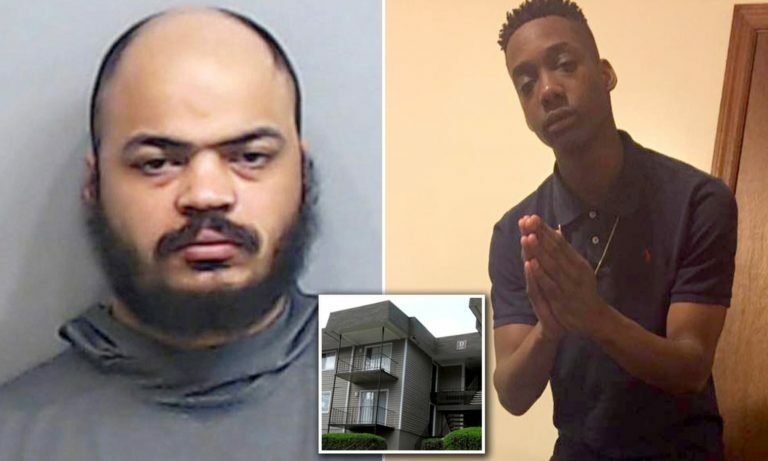 The shooting victim, Omarian Banks, was dropped off at the Retreat apartment complex in Atlanta around 12:30 a.m. on Friday. According to police, Banks and his girlfriend recently moved into the building and Banks, still unfamiliar with the area, knocked on what he thought was his apartment door. Banks had reportedly made an error, approaching the door of 32-year-old Darryl Bynes instead. According to the police account, the pair had a short conversation before Bynes went inside, grabbed his gun and shot Banks as he tried to get away, WSB-TV reported. Banks’ girlfriend, who was on FaceTime at the time of the shooting, told the local station that she heard her boyfriend say “sorry, I’m at the wrong house” before Bynes reportedly called him a racial slur adding “you at the right house.” She said she then heard two shots being fired off. Police said that Bynes first claimed self-defense but evidence suggests the victim was shot from Bynes’ balcony as he tried to get away, WSB-TV reported. Bynes was arrested and booked at the Fulton County Jail, where he is facing murder charges, inmate records indicated. He had been arrested three previous times, according to jail records.